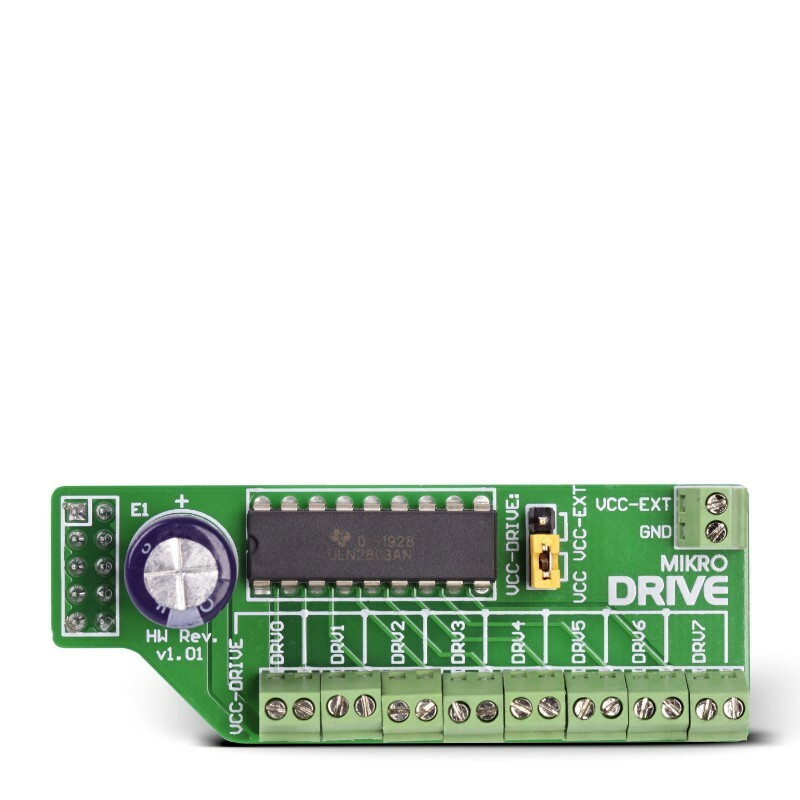 The mikroDrive Board features a high-current Darlington arrays ULN2803AN and a jumper for power supply selection. The board provides an interface between a low-level logic circuitry of your prototype board and multiple peripheral power loads. Board features a high-current Darlington arrays ULN2803AN suitable for interfacing between a low-level logic circuitry and multiple peripheral power loads. Typical power loads with over 260 W (350 mA x 8, 95V) may have drivers turned on simultaneously. Typical loads include relays, solenoids, stepping motors, magnetic print hammers, multiplexed LED and incandescent displays, and heaters. All devices feature open-collector outputs with integral clamp diodes.